The Cosmopolitan at Lindbergh is a stunning, two-tower condo complex that was originally built back in 2007. Along with 244 fabulous condominium residences, The Cosmopolitan at Lindbergh also features 14 brownstone-style townhouses, providing something for just about any luxury home buyer looking for an upscale attached residence to call their own. Each condo at The Cosmopolitan at Lindbergh feature a one, two, or three bedroom floor plan, while each of the townhomes here include an ultra-spacious three bedroom/three-and-a-half bathroom layout with more than enough living space to feel comfortable yet cozy. Hardwood flooring, granite counters, stainless steel appliances, high 12-foot ceilings, and private balconies are just some of the common features you can expect to find within condos for sale at The Cosmopolitan at Lindbergh, but the list of desirable finishes doesn’t just stop there. For more information about The Cosmopolitan at Lindbergh, contact us today or click on the link below to start viewing active listings currently on the MLS. Listed below are recently closed sales at Cosmopolitan at Lindbergh. Whether you’re thinking about buying or selling a condo at Cosmopolitan at Lindbergh Atlanta, checking to see what other comparable properties have sold for in recent weeks and months provides helpful insight into current market conditions within the community. For more information about Cosmopolitan at Lindbergh condos for sale or for a complete list of recent condos sold in the neighborhood, contact The Zac Team today! 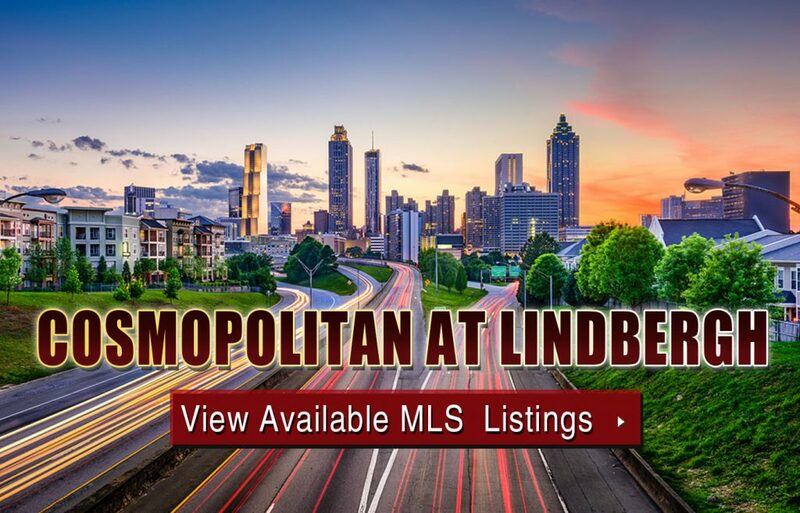 Can’t find what you’re looking for in Atlanta’s Cosmopolitan at Lindbergh community? Start browsing other Atlanta real estate for sale or give the Zac Team a call at (404) 564-7200 for help with your new home or condo search today!